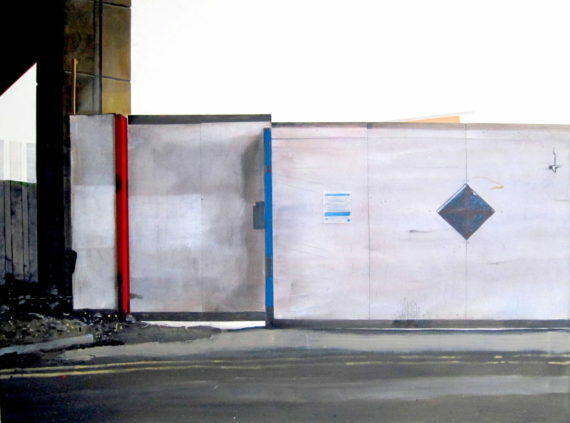 Narbi Price has won the second edition of the Contemporary British Painting Prize for his work Untitled Yard Painting (Albert), a painting that shows the site where exterior shots of Steptoe’s yard were filmed for the 1960s TV sitcom Steptoe and Son. The award was announced at a preview of works by this year’s 12 finalists at Stables Gallery, Orleans House, London. It includes a £2,000 purchase prize along with a solo exhibition in 2018 at the Herrick Gallery, London and a critical essay by curator and art writer Nicholas Usherwood. 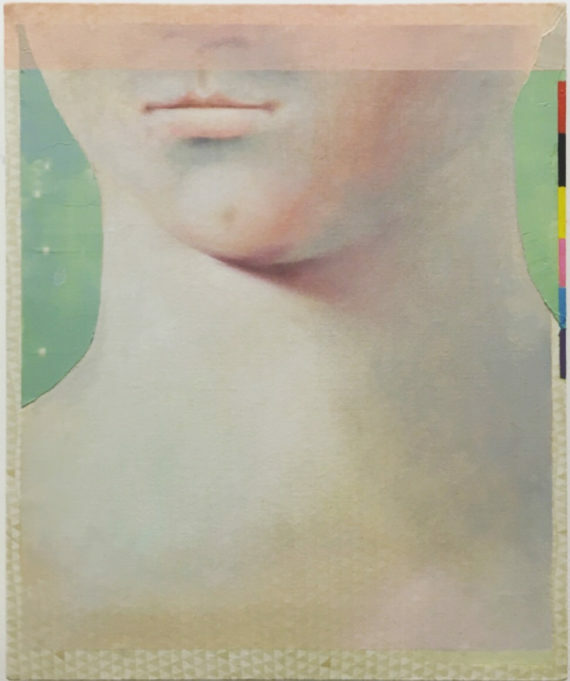 Untitled Yard Painting (Albert) will now be included in the Priseman Seabrook Collection of 21st Century British Painting, a collection set up by artist Robert Priseman and his wife Ally Seabrook in 2014 and which is dedicated to painting produced in Britain after the year 2000. Describing Price as “an excellent choice as winner” Priseman said: “His practice demonstrates a high level of consistency, commitment, originality and sheer pleasure in the art of painting. 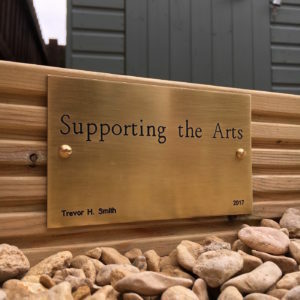 Price, whose painting practice involves researching the precise locations of historic, famous, personal or forgotten events, lives and works in Newcastle upon Tyne. 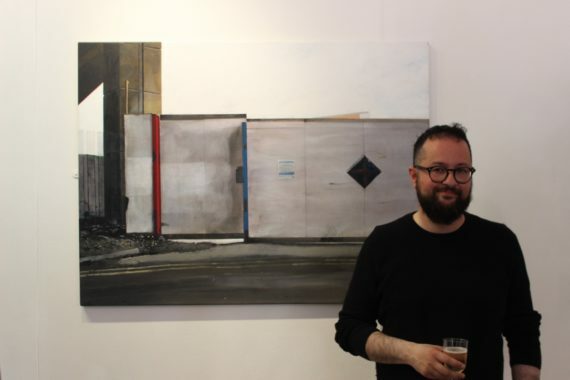 He was a prizewinner in the John Moores Painting Prize 2012 and his work recently featured in Phaidon’s Vitamin P3 – New Perspectives in Painting. 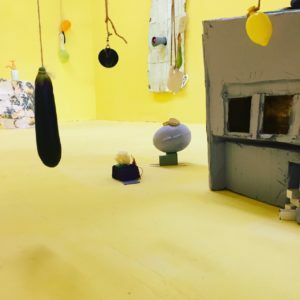 Recent solo shows include ‘This Must Be the Place’ at Vane, Newcastle, earlier this year. He is also part of a-n’s Communications and Partnerships team. The work of recent graduate Louise Giovanelli was picked out for special commendation by the judging panel, which along with Herrick – an artist, curator and owner of the Herrick Gallery – and writer Usherwood also included Moscow Art Collectors Group founder Elena Dranichnikova, visual arts producer at mac Birmingham Jessica Litherland, and New Art Gallery, Walsall director Stephen Snoddy. Contemporary British Painting is an artist-led organisation that explores and promotes current trends in British painting. 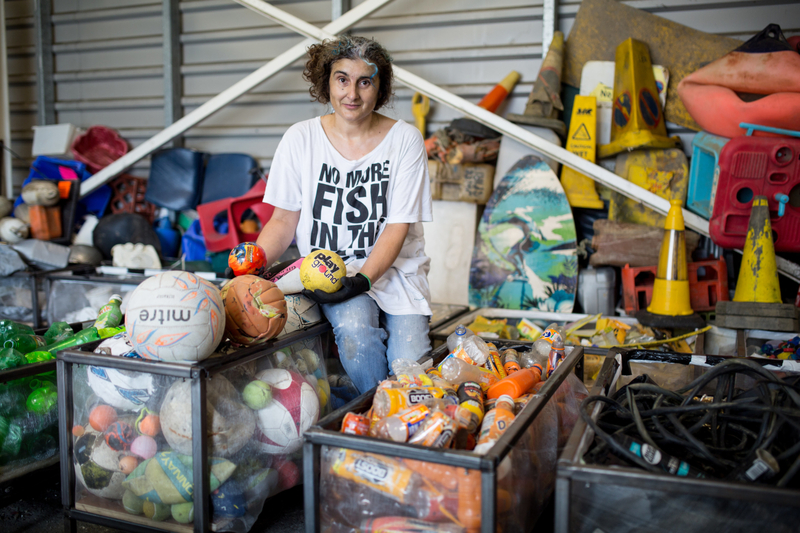 It was founded by Priseman along with artist Simon Carter in 2013. The Contemporary British Painting Prize was launched in 2016. 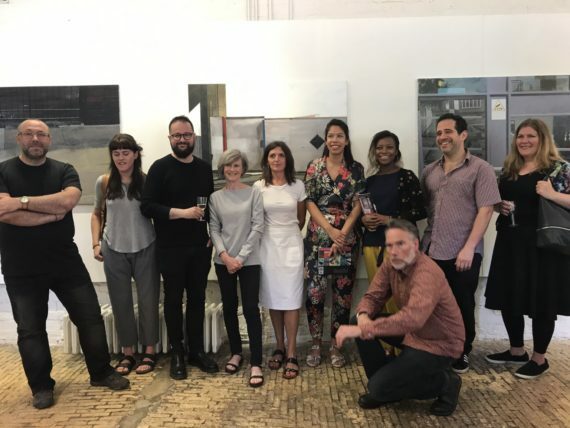 Also shortlisted for his year’s prize were: Michael Ajerman, Jake Clark, Jadé Fadojutimi, Juliette Losq, Cara Nahaul, Simon Parish, Alli Sharma, Joan Sugrue, Molly Thomson, and Helen Turner. 1. Narbi Price with his work Untitled Yard Painting (Albert), acrylic on canvas, 92x120cm, 2015. 2. Narbi Price, Untitled Yard Painting (Albert), acrylic on canvas, 92x120cm, 2015. 3. Louise Giovanelli, Recast V, oil on patterned cotton mounted on board, 32x27cm, 2017. 4. Contemporary British Painting Prize 2017 shortlisted artists.